New findings by a Russian scientist may in fact prove that there is life on Venus, and we aren’t talking microscopic organisms in the soil either. Scorpions on Venus! Are they giant? Do the breath the acidic gas cloud cover that envelops the planet? What do they eat? This is the coolest idea in the history of Mondays. 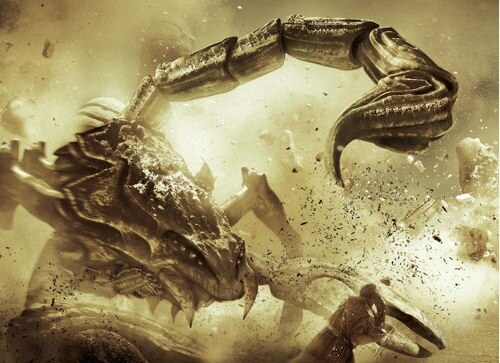 Imagine, in just a short 10 years, we could have alien scorpions on display in the New York City Zoo… where they will inevitably break out and go on a horrific killing spree. If we are lucky, they might even leave an egg sac or something, so we can have a sequel. John Carter of Mars, Ivan Kartarov of Venus.